There seems to be concern in the ranks about the future of Super Rugby with dire predictions about next year’s set-up. Publicly, lNew Zealand’s teams are resigned to toeing the party line and accepting that the addition of a team from Argentina, Japan and another in South Africa is good for the game. The realism is that the current system has seen a seen a declining trend around attendance. In 2006, South Africa posted an average Super Rugby crowd of 34,000, Australia 24,000 and New Zealand 22,000. By 2012, those numbers had dropped across the board – South Africa were down to 28,000, Australia 20,000 and New Zealand 16,000. I would imagine that the numbers for 2014 would be lower again. Week one of Super Rugby kicked off with a sea of empty seats. With the Black Caps playing in Christchurch the following day, the Crusaders were resigned to a poor turnout. They got one. It was the same in Auckland, where the Blues weren’t able to host the Chiefs at Eden Park. They knew it wouldn’t be a great crowd at North Harbour, and they were right. The problem is the core product ! TV has been allowed to dictate the playing schedules; jumping from 12 to 15 teams has diluted the quality of the overall playing pool; the format has suffered from not being a true round-robin; the rules remain unfathomable and inconsistently applied; stadiums, with the exception of the Forsyth Barr, don’t have cover; the food in stadiums is mostly crap and expensive and maybe most damaging has been that the biggest name players have been allowed to drift in, drift out and skip the bits they don’t fancy. Add all that together and that explains the 30 per cent drop in average crowds since 2006. The actual rugby is great. Unfortunately with TV controlling the money and the terms of scheduling we are only going to see a lot more empty seats. 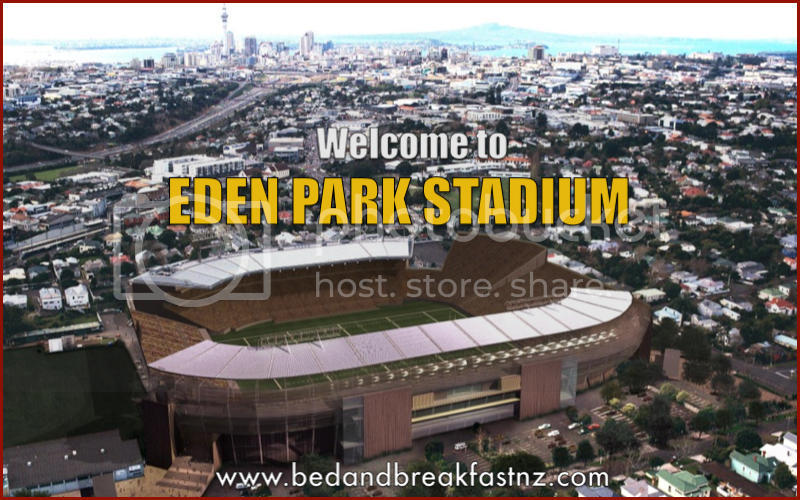 On a better note , at Eden Park Bed and Breakfast we see good response from game patrons wanting luxury accommodation close to the stadium. The ICC Cricket World Cup 2015 is back. Auckland is getting prepared for cricketâs most prestigious World Tournament, which is returning to New Zealand and Australia since last here in 1992. Both countries are joint hosting14 nations that are competing to be the best Cricket team in the world. The ICC Cricket World Cup 2015 begins 14 February and ends 29 March 2015. The ICC Cricket World Cup is the flagship event of the International cricket world, and like the Football world cup, it takes place every four years. The 2015 ICC Cricket World Cup is the 11th tournament and will be hosted by New Zealand and Australia. It has been 23 years since their previous hosting back in 1992. The ICC Cricket 2015 World Cup is considered the largest international sports tournament. It consists of 14 teams competing from around the world. â¢ Includes around 400 Â players and officials. The first tournament took place in England in 1975, which was won by the West Indies. Four years ago, The ICC Cricket World Cup was held in India hosted along with Bangladesh and Sri Lanka. India Won the ICC Cricket World Cup 2011 Tournament. This Years ICC Cricket World Cup will also be in Â various venues around New Zealand. Auckland has the Biggest events placed in our neighboring venue “Eden Park”. Summer Holidays in New Zealand are basically Christmas Holidays but with a twist. You get to celebrate Christmas like it’s actually summer. The New Zealand Summer holidays begin around the 20th of December and last up to 31st of January. You can expect to see a lot of trailers loading up on Boxing day heading for the Coastal Areas. Summer Holidays in New Zealand is the ultimate Summer Vacation. So much to do and using the massive stretch of coastline areas which connect the North and South Islands feels like there is so many things you can do. If you are looking for a place to Surf, then head out to the popular Surf Highway brings together the best surfers from around the world. Just ask how you can get to Taranaki. SoÂ surfing is your passion, you’ll love New Zealand. You’re always next to theÂ sea. Life style in New Zealand is one of a kind. You can do a variety of things to do. Â Some examples are Fishing, Sailing, Various Water Activities, Bungee jumping, or Volcano TouringÂ and Hiking.Â Â Don’t forget to visit Mount Eden (AKL) Amazing view on top of Mt. Eden. Â If you head down below you’ll find Eden Park, World’s Biggest Rugby Stadium. If you are into Music and Festivals,Â you will appreciate Whangamata. Â This is a great place to stroll and perfect for Summer Festivals during the Whanga Week, and the Summer Festival happening in New Zealand during this time. Summer holidays in New Zealand include bbq and Ice creams.Â Â It is guaranteed to find Kiwi Families enjoying their picnic outing, with their bbq grills, on a summer’s night on a beach. Just imagine that for a second…. If you want a great tan, then head out to Hawkes Bay and Nelson to enjoy your summer holidays in New Zealand like you should. Camp for the night there if you like, you won’t be able to compare this to anywhere else you have ever been in this world. Â Promise. Where to Stay in Auckland during your Summer Holidays in Auckland? 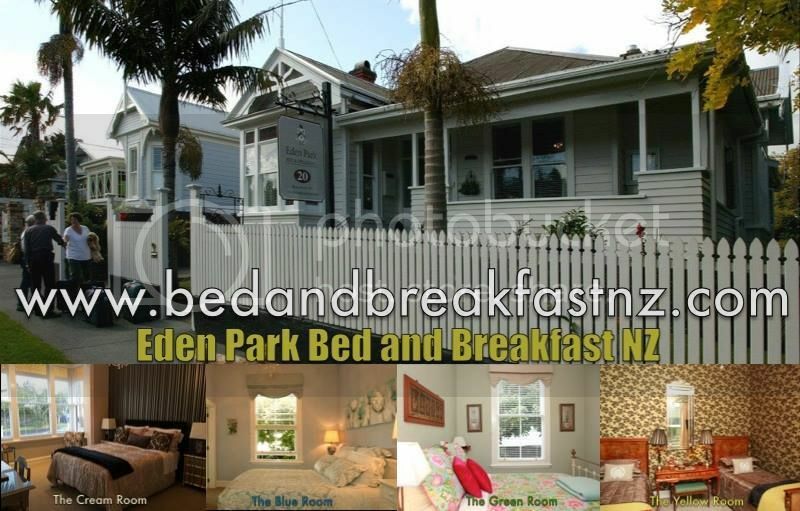 Eden Park Bed and Breakfast is located in Auckland, next to Eden Park’s World’s Largest Rubgy Stadium (Eden ParkÂ Stadium onÂ Reimers Ave)Â Â We offer luxury accommodation at an affordable price. Â Make sure you contact us prior so we can guarantee your booking. Â Christmas Holidays are pretty busy here in Auckland. Â Looking forward to your stay. New Zealand is known for its amazing mountain views, amazing wildlife, amazing beaches making this Maori Culture Destination, a dream come true for many adventure travelers. Keep in mind, that by the time you step foot on New Zealand soil, up till the point you leave, you will be spending. Â So instead of you spending cluelessly, we are here to help you save a few coins here and there. New Zealand’s seasons are pretty weird. Â What I mean by weird, I mean, if you are looking for planning a summer vacation, then best choice is to book yourÂ ticket for December. Â We have summer up to February. Great time to check out our beautiful beaches. Â No we are serious! Â Â If you are looking for a quiet time in New Zealand, then you should either plan your trip for Â Spring or Fall. Tourism is down during that time. For the Skiing fans out there, you should plan your trip to Queenstown. 2) Cut New Zealand In Half. New Zealand is pretty big. Don’t let the “island” look trick you. Â This island is huge! Â Â So if you either coming for more than two weeks, you should then take your time planning for both the North Island and South Island. It would be a shame if you didnât enjoy each to the fullest. Â If you are on a budget, then this is the best way to tour New Zealand. Â Concentrate at one are at a time. Â This will save you money. Â We promise! We suggest you look around for great deals. Follow us on Facebook, or any of our social media profiles so you can find out on great deals on air fair tickets.Â Â Air fair is pretty expensive due to the New Zealandâs remote location. Check out Trip Advisorâs main page to get info on great air fair deals. While you are at it, you can read our review on Trip Advisor. We were voted Travelers Choice Awards, with great reviews. If you are planning your trip, keep us informed so we can pick you up ourselves. We suggest bringing your Visa, Mastercard or whatever Plastic you like. New Zealand accepts all plastic, everywhere. Restaurants, hotels, and shops all take plastic. You could easily spend on hundreds of dollars, on tours, excursions and entrance fees, particularly if your New Zealand bucket list includes pricey once-in-a-lifetime activities like bungy jumping or helicopter flight-seeing. If your budget hurts just thinking about it, we advise you to ask us. We are experts in this category since we have our own touring transportation service you can use as well. Â (www.Supercare4u.com) for more info. 7) Drink from the tap. Â No need to waste money on bottled water. Our water in New Zealand is drinkable. Please leave a comment below, and do like us on Facebook below, and keep updated with new articles such as these. At Eden Park Bed and Breakfast we are involved in a campaign of building and renovation. We are installing a Bay Window onto the front room and hanging new wallpaper in various rooms. The window was saved from a building that was destroyed in the Christchurch earthquake. It’s our little bit of saving a piece of Christchurch history….